The idea is basically this: I think life must be some sort of sick joke. There can’t possibly be so many morons on the same planet by pure accident. So while I’m waiting for someone to wake me up from this nightmare, I’m making comics about the hilarious absurdity of human life. 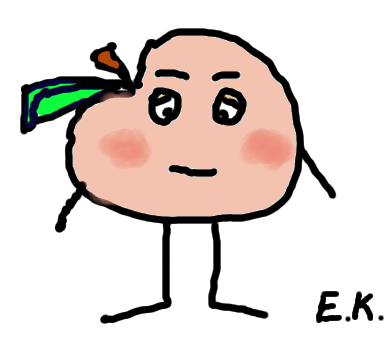 I like peaches so my character got to be a peach.